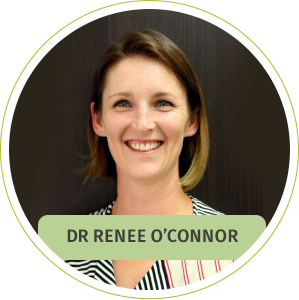 I began working in Pakenham in October 2007 after having returned from a working holiday in Scotland where I managed to combine doing what I love – helping people achieve their true health potential and lots of travelling. My aim in practice is to create a fun, friendly and caring environment where our clients are empowered to reach their True Potential. Since, the completion of my university degrees- Bachelor of Applied Science (Human Biology) and a double degree in Bachelor of Applied Science (Clinical Science) / Bachelor of Chiropractic Science which was completed with distinction, I maintain a high level of continuing professional development. I love attending seminars on a really broad range of topics, the ones I enjoy most are those on pregnancy care and the chiropractic care of children. My most recent qualification is a Diplomate in Chiropractic Paediatric Neurodevelopment. This area is certainly my passion and as a mum of two young children I completely understand the needs and sometimes fears that a new mum feels with regards to their little ones health. Thus, with the additional post graduate qualifications I hold in paediatrics and pregnancy care; I feel that the gentle chiropractic care we offer our smallest clients helps them to achieve the best possible start to life. At True Potential Chiropractic, we believe that we are the natural choice for the healthcare of your whole family, from those newborn babies right up to our clients in their 90’s. We understand that not every style of Chiropractic works for everybody, so we pride ourselves on finding the type of care that best suits each person. Thank you for visiting our site, we hope it has been a great source of information for you and we look forward to meeting you and addressing how we can best help you to achieve your health goals.